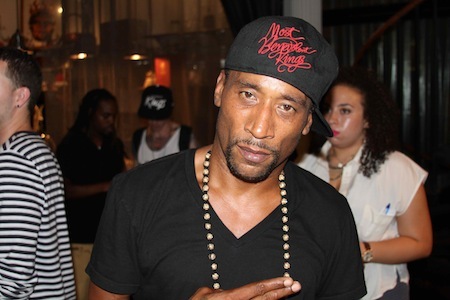 This past week, Lord Jamar of Brand Nubian, offered up some provocative statements regarding issues of race, power, homosexuality and ownership in hip-hop during an interview with Vlad TV. His comments provide us with the chance to think critically about how hip-hop can and should be defined. There is much that goes into this definition and it is worth thinking long and hard about. As I began to reflect on this interview, it became clear to me that Lord Jamar’s comments are doing the social movement of hip-hop a disservice. Lord Jamar is simplifying hip-hop down to a black and white issue and I wholeheartedly disagree with this line of thought. Lord Jamar is taking away from understanding hip-hop as a worldview, how it has grown and what it can do for people. On top of that, he is slighting every hip-hop artist involved in creating what it is today. In light of these comments, we must break down what he is saying because of hip-hop’s significance around the world. He makes a distinction, that I agree with, about the difference between rap and hip-hop. I think he is right in saying that there is an ideological difference between rap and hip-hop. I would contend that much of what is considered “rap music” is controlled by wealthy record executives that are trying to get money. Ultimately, the images conjured up by these rappers play into inaccurate stereotypes about women, sexuality, homosexuality, African-American males and the meaning behind terms such as “ghetto”. This is apparent when listening to or watching videos by artists such as Pitbull or Drake as the content of their songs lack depth and rarely rock the boat. These images, although they are nothing more than grotesque in nature, are seen as safe by record companies because they know they can profit off the material. Included in all of this, it must be made plain that hip-hop is a culture. The skill of rapping could also be defined as an element of this vibrant, knowledgeable, skillful and reflective cultural movement. Similar to other words in the English dictionary, there is more than one meaning to the word “rap”. In this case, Lord Jamar is referring to rap as a for-profit genre of music. To this point, I agree with Lord Jamar. Beyond that, I have a huge issue with his answer regarding why rap is “gay friendly,” a point that I will discuss at length momentarily. I see where Lord Jamar is coming from. However, similar to the first answer, I have a huge problem with his answers, how he is framing the origins of hip-hop and who has the right to participate in hip-hop culture. In this interview, Lord Jamar is making the case that hip-hop is a “black man’s thing” and that African-Americans are responsible for the creation of hip-hop. Here, Lord Jamar is not completely wrong, the importance of African-American culture within the creation and current manifestations of hip-hop cannot be understated. However, there is much more to the story when considering the origins of hip-hop and how it has changed in the past 30 years. In Black Noise (1994), Tricia Rose discusses the birth of hip-hop culture. Hip-hop was born in New York City in the late 60’s and early 70’s in response to inherently racist development projects that were a brutal process of community destruction and relocation executed by municipal officials and under the direction of legendary planner Robert Moses (Rose, 1994, p. 30). This was a time of immense social, economic and racial oppression for those living in areas such as the Bronx, Bedford Stuyvesant and Harlem. In the name of “urban renewal,” homes were destroyed and thousands relocated. As these neighborhoods were inaccurately deemed slums, the newly “relocated” black and Hispanic residents in the South Bronx were left with few city resources, fragmented leadership and limited political power (Rose, 1994, p. 33). Hip-hop culture began as a response to these city policies and was an outlet for people, especially the youth, in these areas to express their anger at the racially prejudiced city government. Hip-hop is grounded in the resistance of oppressed peoples, the need for self expression through artistic performance, and was a movement started by the youth of black and brown communities. Through rapping, DJ-ing, breaking and tagging, the youth in the underbelly of New York City were in the process of creating the hip-hop perspective, or way of making sense of the world. In this way, hip-hop transcends the socially constructed idea of race. Hip-hop creates the space in which people, regardless of their outward appearance, can make sense of their experiences through art. For Lord Jamar to boil it down to a black and white issue of ownership is an unfortunate simplification that takes away from every artist around the world attempting to make sense of their world through the worldview and artistic manifestations of hip-hop. Based on this idea of hip-hop as ideology, it is important to look back at Jamar’s initial comments regarding whether or not hip-hop is “gay friendly”. As far as I’m concerned, hip-hop is absolutely gay friendly. I am not saying that things such as homophobia, misogyny or a culture of violence doesn’t exist within rap music. In spite of these things, there is a long list of homosexual artists that use hip-hop to tell their story and express their sexuality in an unbelievably powerful way. There is Le1F, who has hated on Macklemore and his song, “Same Love,” for exploiting gayness. 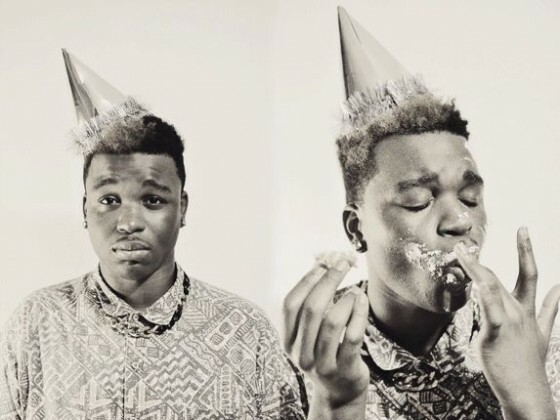 Another rapper is Cakes Da Killa, whose flow is on par with any rapper in the game right now. Finally, there is JbDubs, who is unafraid to flaunt his sexuality within his videos and lyrics. The music video for his song “Pantywaister” is worth checking out as he raps and dances, creating an approach to hip-hop that is uncommon and pushes the boundaries in the best way. The list goes on, but the point here is that these artists don’t need Macklemore to feel accepted and they certainly don’t need Lord Jamar to decide whether or not hip-hop and/or rap is gay friendly. Instead, they have taken matters into their own hands and are making music that defies the homophobic society that we live in. These artists, and countless others regardless of their race or sexuality are an example of what hip-hop is about: challenging the dominant ways of knowing that dehumanize people through artistic expression with the hopes of inspiring people to live a life of resistance. For instance, there is Pierce Freelon and Stephen Levitin. Both of these artists are part of the UNC Chapel Hill music department and teach a course about beat making, popularly known as the Beat Making Lab. They have taken this idea and ran with it, traveling around the world, bringing hip-hop heads in Fiji, Panama and Goma the necessary equipment to make beats. Throughout their travels, they immerse themselves within the world of civic engagement as they work alongside people of different cultures and belief systems to create a space where knowledge can be gained and distributed. This past summer, a young Brasilian rapper by the name of MC Daleste was gunned down in the middle of a performance, amidst the organized demonstrations during the Confederations Cup. Many believe the police are to blame as Daleste was known for his disdain for the police within the Favelas. In Brighton, England, there is a hip-hop collective known as Rum Committee. Let me just say, these dudes go hard with witty, layered and intelligent bars over dark, swirly production. 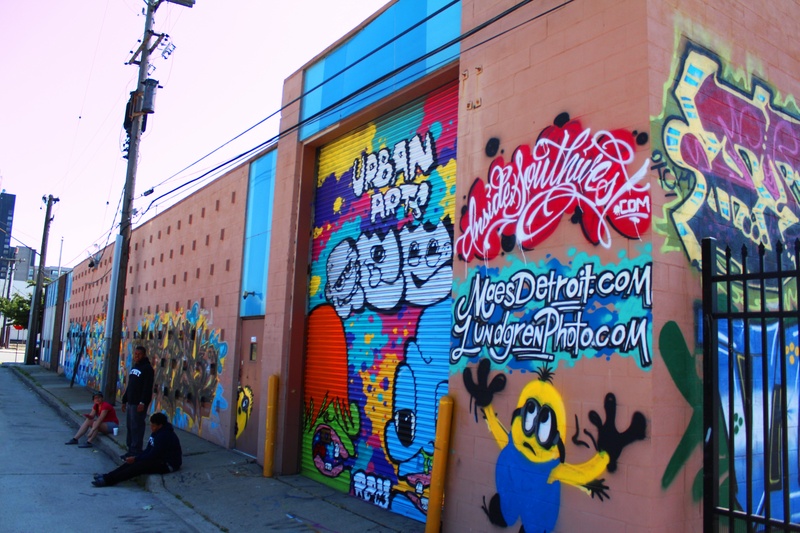 In Detroit, there is the Raiz Up Collective and Urban Arts Academy in Southwest Detroit that makes sense of hip-hop from a Xicana/Xicano and indigenous perspective. In New York City, there is a program called Urban Word where MC’s Hired Gun, Intikana, K-Swift and Eagle Nebula use hip-hop as a lense to work with youth and develop life-skills. I have seen them with people of all ages and the learning that occurs is unreal. GZA has teamed up with Columbia professor, Chris Emdin, to bring hip-hop into the science classroom. Also in New York, Cablevision workers have gone on strike and used hip-hop to discuss why their union rights and why they’re on strike. There is an independent record label known as Mello Music Group that is known for signing socially and politically conscious artists such as Apollo Brown, Oddisee and Stik Figa. Female MC’s such as Invincble, Tiff the Gift, Jean Grae, Boog Brown, Dessa and Mz Korona that bring their perspective to the game as well. In Los Angeles there is Dumbfoundead, an MC grounded in his Korean-American heritage, rhyming his way to the top. With the amount of artists and organizations that think of hip-hop as a worldview it would be difficult to include them all. Even with the artists I’ve listed, the one thing that they have in common is that they use hip-hop in some shape or form to make sense of their careers, creativity, resistance and education. They come from all walks of life, cultures, races and histories. Hip-hop culture is not black, white, brown, American or easy to define. In no way is it as simple as Lord Jamar makes it out to be. Hip-hop is more than simply a musical genre. Hip-hop can be a form of therapy for people and has the power to change lives. This is done through being engaged in the learning and teaching about decolonization, resistance, the power of story and history. For me, it was disappointing to hear a respected MC simplify the question of hip-hop ownership to a black and white issue. We are past questions of ownership because of how many people, the world over, are engaged in the social movement of hip-hop. We have to know where it started, but we also need to be aware of how it has grown and where it is heading. Hip-hop has become something that is complex in nature and provides a way for people to figure out what their perspective is. This could be done through an indigenous perspective, an Afrocentric perspective, Caribbean perspective and so many more. To take Dr. Kirkland’s term, there are “Hip hop-graphers” that use the genre as a way to challenge the status quo and injustice in their art by making sense of their lived experiences. These are not just musicians. They are writers, philosophers, artists, filmmakers and even clothing designers. We must seek them out and support them. Finally, and most importantly, hip-hop is a way of being, a way of living one’s life for liberation, change and humanness. Hip-hop deserves a more critical discussion because of its relevance to people all over the world. Additionally, we should talk about hip-hop because of what we can learn about ourselves and others.